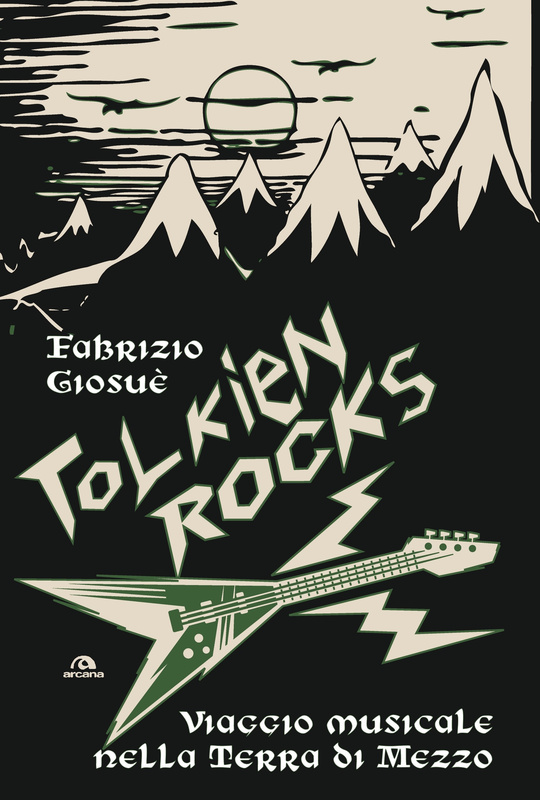 Folk Metal – Dalle Origini al Ragnarök (Crac Edizioni) è il primo libro sul folk/viking metal. La storia, l’evoluzione, i gruppi che hanno creato e sviluppato il genere, i dischi fondamentali, i personaggi simbolo e “tutto quello che avreste voluto sapere sul folk metal ma non avete mai osato chiedere” all’interno delle 446 pagine del libro. Un vero e proprio giro del mondo con interviste esclusive, tante curiosità e un ricco capitolo sulla scena folk italiana. 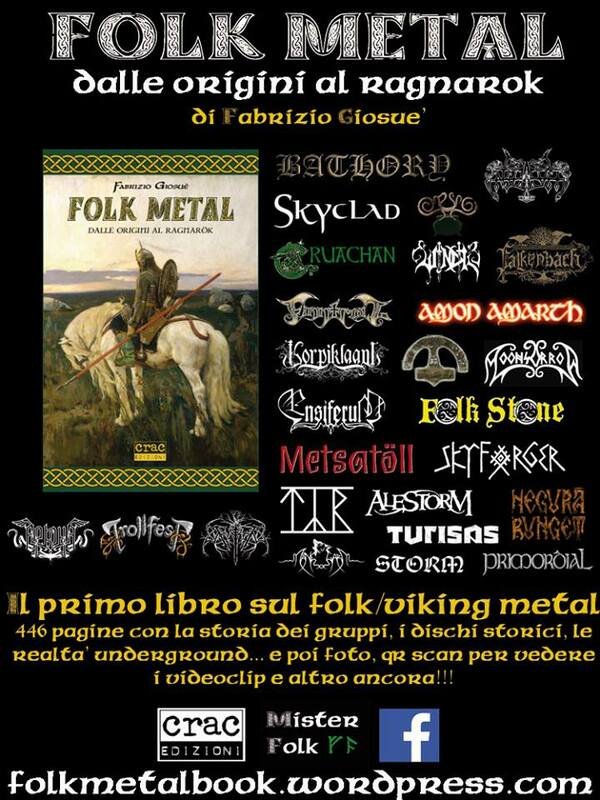 Questo e molto altro è Folk Metal – Dalle Origini al Ragnarök, da novembre 2013 in libreria!!! Folk Metal – From the origins to Ragnarök is a journey through ancient traditions and distorted guitars, through stories told around the fireplace and mischievous trolls that bother the farmers, through heroic feats of brave warriors and sweet melodies of violin and tin whistle. Everything (or almost) you always wanted to know about folk\pagan\viking but you never dared to ask. The most representative and important bands, the undergound that counts, endless curiosities through interviews, biographies and a lot of passion for this music. 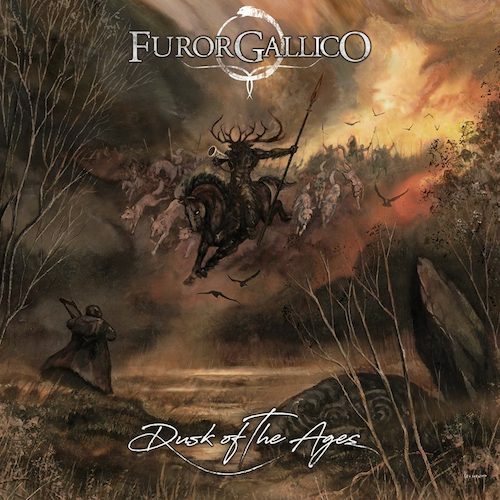 The International Folk Metal and its Italian emanation with Furor Gallico, Draugr, Vinterblot, Folkstone in first line and many others… practically everyone! Every country, land, nation, has something to tell: and you, horns in hand, are you ready to listen to? Fabrizio Giosuè was born in Rome many lustrums ago, he got lost on a winter night in one of the woods he often dreamed about and never came back, he lived many years following a young forest leprachaun. The latter, though of solitary spirit, took a fancy to him so much to disclose him the secretes of music art and many times granted him the notes of his ancient enchanted violin. Afterwards, abducted during an invisible fairy round dance, he spent most of his life round dancing, flinging wildly until he flayed – without remedy – the robust sole of his sturdy hairy big feet. Then he met a troll and he often beat the drums during the most grim banquets held, accoding to the tradition, by such fearful shadowy creatures. Sources of feeble valour tell of a Giosuè crusader, other of a simple tumbler. But the only truth that is possible to explain is that one morning, after a deep mead drunk, he woke up so inspired that he started to write the book now you have in your hands. That’s it, folk on!